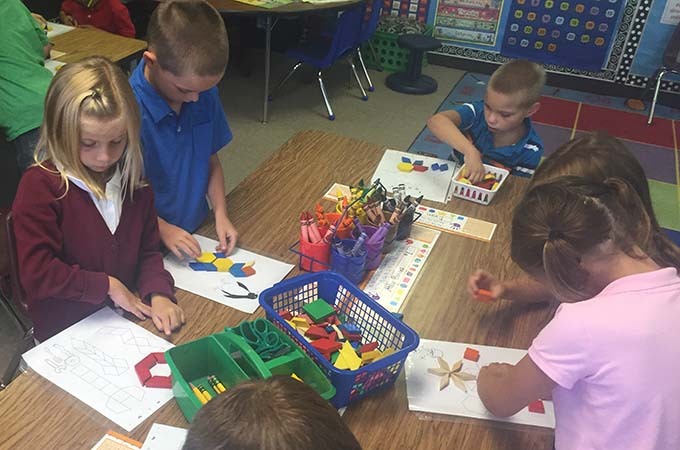 Funded by a $695,000 grant from the STEM + Computing Partnerships program at the National Science Foundation, the University of Redlands' Spatial STEM+C Project is measuring the impact that spatial thinking training has on the computational thinking and mathematics abilities of grades K-5 children. "Research conducted over many decades has shown that spatial thinking is a strong predictor of successful entry into STEM careers such as medicine, geology, computer science, and engineering," said Steven Moore, Principal Investigator for the Spatial STEM+C project and Director of the Center for Spatial Studies at the University of Redlands. "The better at spatial thinking you are, the better you do in the science and math classes that determine whether you go on to STEM careers." Unfortunately, some children don't develop strong spatial thinking skills as they grow up and, can be at a disadvantage when they encounter gatekeeping STEM courses in high school and college. The goal the Spatial STEM+C project is to help level the playing field for these children by finding effective strategies to build and evaluate spatial thinking skills in children as young as 5-years-old. "Spatial thinking skills are typically not taught in the standard public school curriculum," said Gary Scott, Spatial STEM+C Project Director and Visiting Faculty in the School of Education. "The curriculum is jam packed already and testing takes what little time teachers have to experiment with new techniques. Our goal is to find practical strategies that educators can easily integrate into their teaching practice to help give children the skills and confidence they need to succeed in future STEM classes."